Laurence (Larry) Alan Boxer, M.D., pediatric hematologist/oncologist, died Jan. 7, 2017. Boxer was a major in the U.S. Army at Tripler General Hospital in Honolulu, Hawaii, and served at the leprosy colony at Kalaupapa on the island of Molokai. In 1982, he came to the U-M Medical School as professor and director of the Division of Pediatric Hematology/Oncology, where he became the inaugural Henry and Mala Dorfman Family Professor of Pediatric Hematology/Oncology in 2003. His study of neutrophils and disorders of neutrophil biology led to multiple advances in the diagnosis and care of patients with defective neutrophil function, failed neutrophil development and treatments to increase neutrophil recovery following cancer therapy. Boxer received the E. Mead Johnson Award; the George Norlin Distinguished Alumni Award from the University of Colorado; and the J.E. 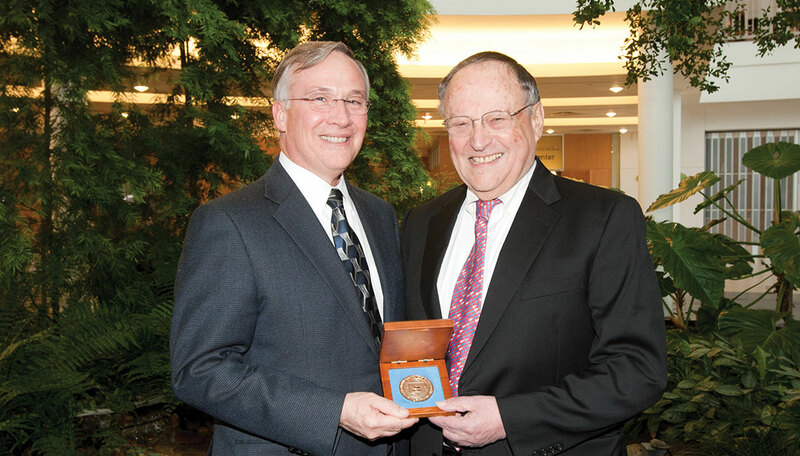 Wallace Sterling Outstanding Medical Alumnus Award from the Stanford University School of Medicine, among many other honors. U-M established the Laurence A. Boxer, M.D., Research Professorship in Pediatrics and Communicable Diseases in 2009. This obituary appeared on MLive.com and has been edited for length and clarity.